Today I am thankful for moments of clarity. In a world full of so many unknowns, where circumstances can change in a matter of seconds without any forewarning, it is nice to experience times when my understanding of things is clear and certain, be it what is or what is not, what I want or what I do not want, what I will accept or what I will not accept. 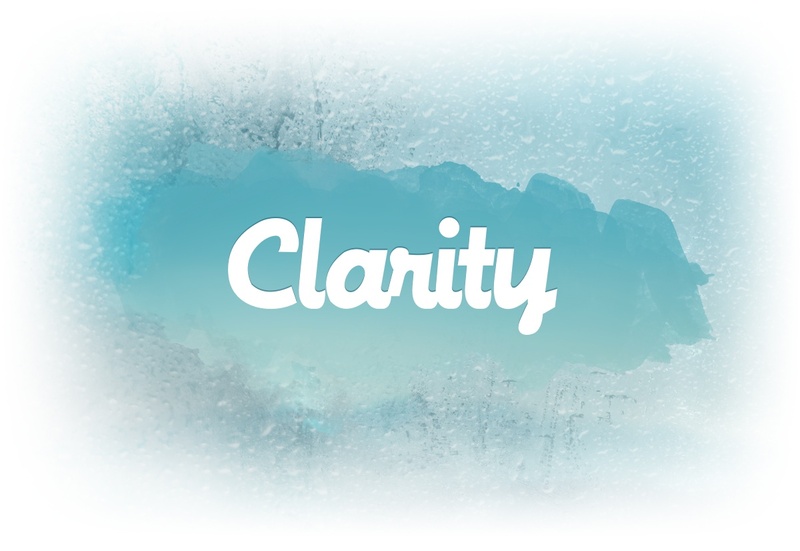 While taking a brief walk today I found myself thinking about the subject of clarity and its importance in my life. I realized that for a good part of my life I have focused more on an appreciation of the things that are, things that I want, and things that I will accept. I guess that my decision to focus on those aspects was fueled by the fact that they tend to be viewed in a positive manner, and therefore, in my eyes, are good things. However, as I was walking I realized that knowing what is not, what I do not want, and what I will not accept is just as or maybe even more important than their positive counterparts. I say this because it is by the things for which we do not stand, for which we make no place in our lives, that we are measured ultimately. Sure, people will take note of the things that we do, want, and accept, but what will stay with them, resonating and identifying us in their minds, will be the things that we do not do, want, and accept. That just seems to be the way that it is. And that can turn out to be a positive or a negative testament to one’s character.